This Golf Course Condo is in a resort style gated community perfect for a home or rental potential. The Golf Resort and Spa is an Eco Sustainable resort style community development, sensitive to the eco system while meeting the needs of the present without compromising the ability of future generations to meet theirs. The project encompasses 332 acres of tropical rainforest, rolling hills and flat lands with numerous creeks, springs, and waterfalls flowing throughout. It will feature an 18-hole Par 72 championship golf course and residential project that will feature a community clubhouse complex with restaurants, bar, shops, pools, waterfalls and spa. The first nine holes of the golf course are ready and fun to play. This includes a Golf Academy with a driving range, practice putting greens, chipping greens and a practice hole. 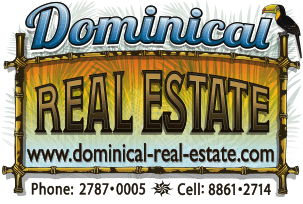 Lifestyle investment opportunities include Condos, Villas, Single Family Home Lots and more. All with ocean, sunset and golf course view opportunities! The Model Show Unit in building 2 is available for sale and move in ready. This unit has a sunset ocean view with 2-bedrooms and 2-bathrooms. The layout spotlights a master suite, guest bedroom and bathroom, sunset view balcony, and all with "top shelf" finishes. Right in the heart of the action, these suit-case ready fully managed rental properties promise great occupancy potential, while maintaining a fantastic vacation home for your visits to Costa Rica's verdant southern zone.